Back-to-school had a new twist for more than 100 students in Toronto on Tuesday as an Africentric alternative school opened its doors for the first time. 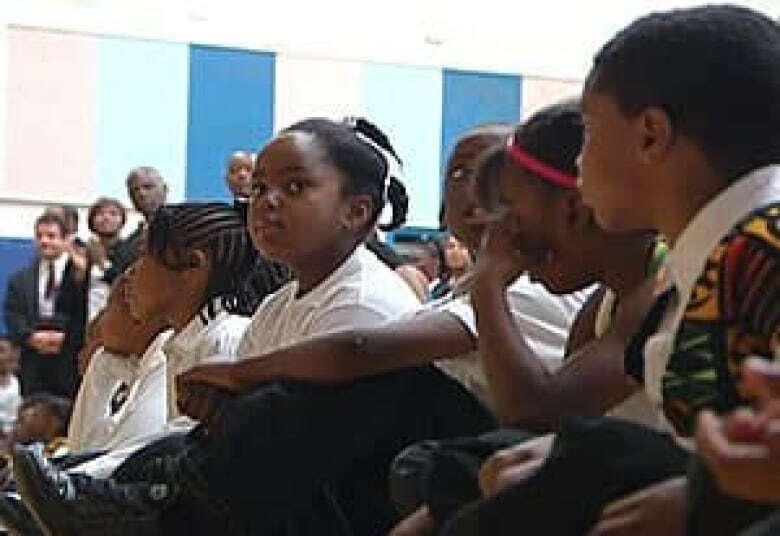 The black-focused school has sparked controversy, with opponents saying it smacks of segregation. Supporters of the Africentric Alternative School maintain that it's important for children to understand their history and culture. They also point to a 40 per cent school dropout rate among black students. "This will be an example of how we take the African experience and integrate it much more meaningfully and much more substantially into all areas of learning," said Lloyd McKell of the Toronto District School Board. The Africentric school at Keele Street and Sheppard Avenue West was one of four new alternative schools to open Tuesday, the most since the Toronto district board was created in 1998. The schools were created after parents banded together and lobbied school trustees. Parent Stephen Davies, who helped organize the drive for the Whole New Child School, said the Toronto board's willingness to create the schools is partly a response to students leaving the publicly funded system. "What they're trying to do in my opinion is to stem the flow of students that were formerly in the public school system into the private school system," Davies said. "There's been an enormous growth in the private school system in the province of Ontario in the last five to seven years." "We don't have an education system that fits all," said school trustee James Pasternak. "We have to have a wide range of choice for parents because they're coming from all over the world and they want different things." Donna Harrow, co-founder of the Africentric school, said it represents a choice for students "that will help them and their success within the system." Trustee Josh Matlow isn't sold on the idea, however. "Black parents in my community tell me that they want their kids to go to school with their friends — they don't care what they look like," Matlow said.